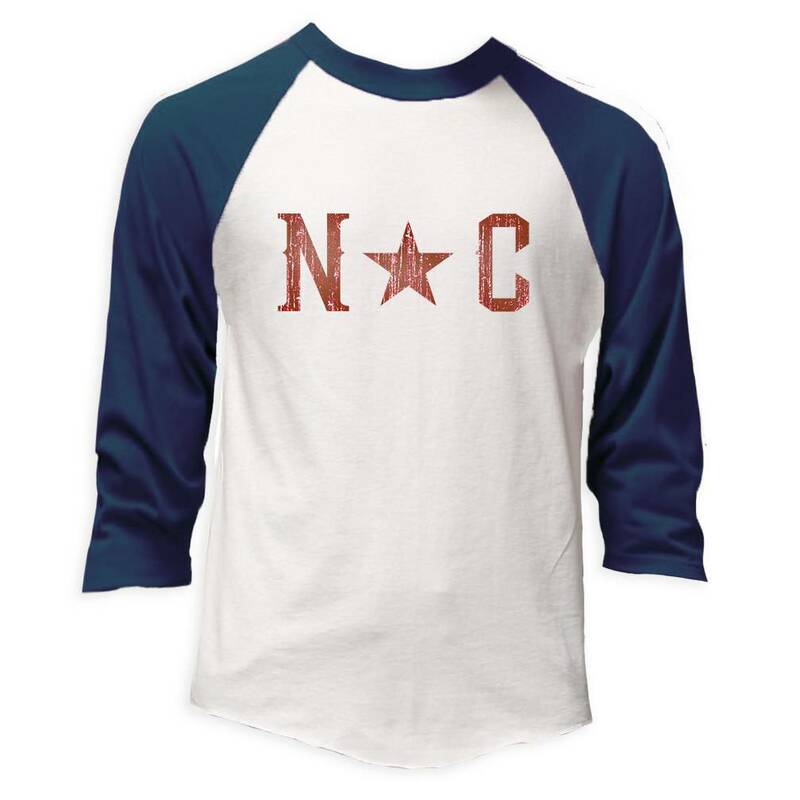 The big N star C, hand printed on a super, soft baseball jersey, is a great way to rep the home state. This is a unisex size shirt so order one size small. 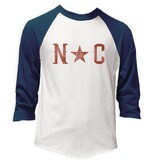 The color is a heather white body and navy sleeves. This is a cotton blend with an amazingly soft hand. Perfect for game day.